This one is dead easy, so I expect most of you should have no problem with it. Unless you have been wearing an army helmet for the past week, in which I understand since your IQ would have dropped by 50%. 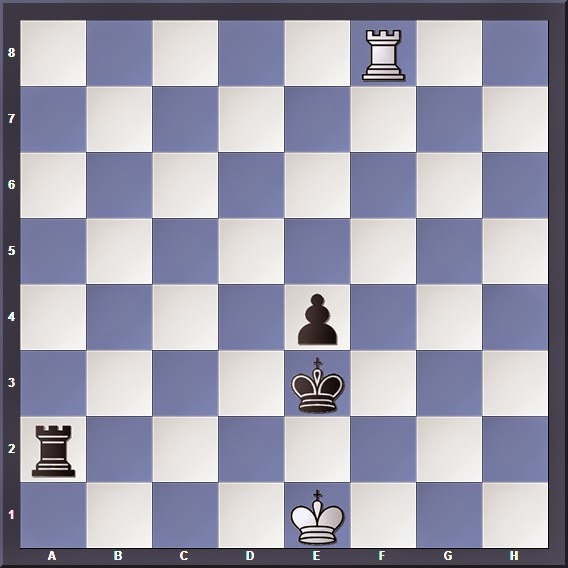 Despite having a passive rook position, Black can hold the draw here because White can't use the "swing the rook to the other side" trick (well you still remember what that means, do you?). So all Black needs to do is to play 1... Rc8! protecting his king from any checks, and White can do nothing in the world to touch him. 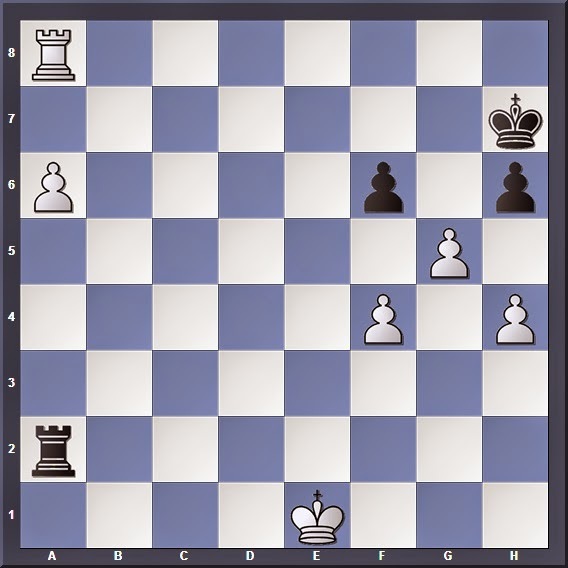 Position 2: White to move, can he still draw? Note: This position (as well as Position 3) was edited slightly during the challenge (everything shifted 1 square to the left), so apologies for the mistake. This should also be manageable, assuming you still remember the concepts behind the Inverse Philidor. After 1. Kg8! (moving the king to the short side of the board) White ties down the enemy pawn with his rook on f8, and can threaten to unleash checks from the long side with Rb8-Rb7 if needed. The full drawing procedure is given in the Inverse Philidor article. 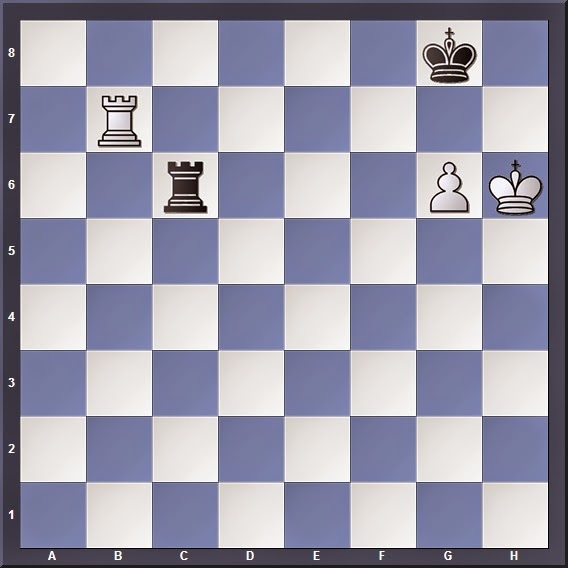 Position 3: White to move, can he still draw? 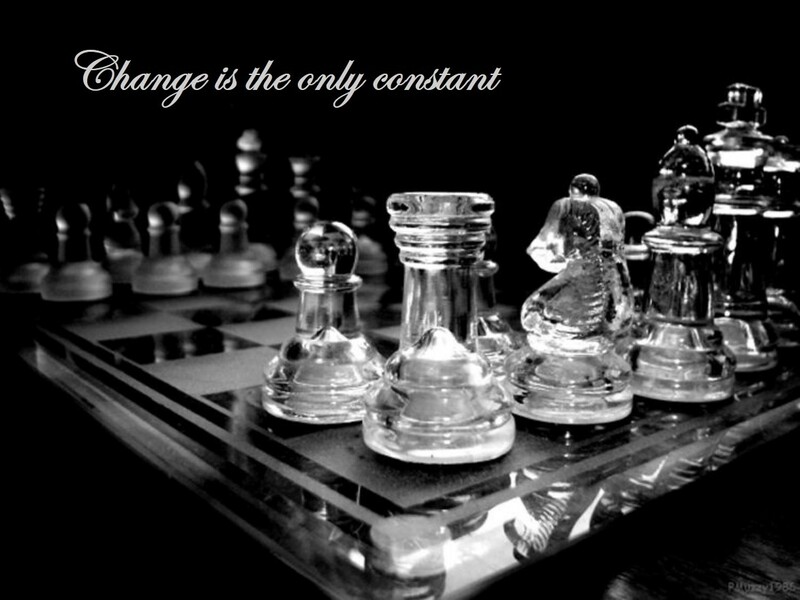 White's rook is no longer eyeing the e4 pawn, giving Black's king the liberty to step forward if needed. The position of Black's rook ensures that White's rook has insufficient space on the long side of the board to unleash side-rank checks safely. White correctly brings his king to the short side of the board, but unfortunately this is not enough to draw. Black's king is free to gain more space, since the e4 pawn is not attacked. Note the difference between this and the previous position! 3. Rf2+ Kd3 4. Rb2 e3 is similar to the main line, while after 3. Re8 e3 4. Kg3 Kd2 5. Rd8+ Ke1 Black has an upcoming Lucena Position. White's rook has insufficient checking distance (only two squares apart). Notice that if everything were shifted one square to the right, White would draw since after Ra8-Ra2+ he would have sufficient checking distance! And White cannot stop the pawn from advancing, with an upcoming Lucena Position. Position 4: Black to move. Assess the position. This looks like a complex position, but by recalling our basics we can identify with some positions we looked at in the past. A passive rook in front of its pawn, with the enemy rook behind... perhaps this article can stir up memories? And indeed it is useful for us in solving this problem. The best try; 1... fxg5 loses immediately to 2. f5! after which the f-pawn will pull Black's king off the critical g7/h7 squares. Trying to get a Vancura Position here won't work: 1... Rc2 2. gxf6 Kg6 3. a7 Kxf6 4. Rf8+ and White wins. Of course 2. fxg5? fxg5 3. hxg5 is a draw since Black's king cannot be chased off g7. White's king wants to win the f5 pawn, so he marches slowly towards the Black rook first to break free from its restraint. The f5 pawn falls, and together with it Black's game. So hopefully you managed to revise most of your basics through these challenges. Let's explore even further as time goes by!